Multi Color Printed Bopp Laminated PP Woven Bags increase Brand Value with its excellent printing, beautiful designs, attractive display and aesthetic appearance. These bags are durable, presentable and easy to handle. We manufacture BOPP laminated bags for packing of minimum 5 kg to maximum 50 kg units. 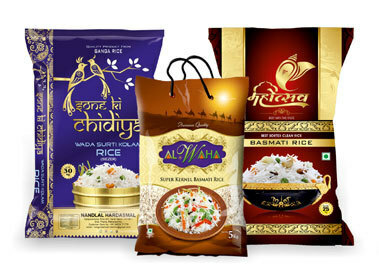 India’s leading brands preferred and have changed to this kind of bags.